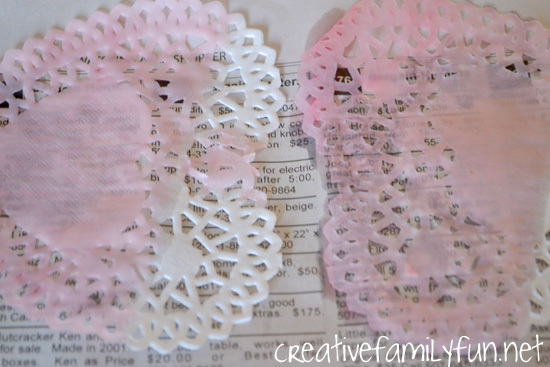 What do you do when you have a supply of pretty lace doily hearts? Why, you learn to dip-dye of course! This project was a little bit messy and a whole lot of fun. I love the subtle Valentine loveliness that came about as a result. To prep this craft, I poured both water and liquid watercolor in our pan. I used about 1/3 red liquid watercolor to 2/3rds water. Add more watercolor for a deeper red color. We wanted a pale pink. 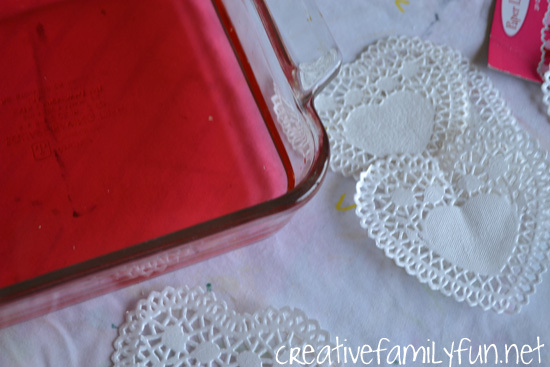 If you want red, do not add water. 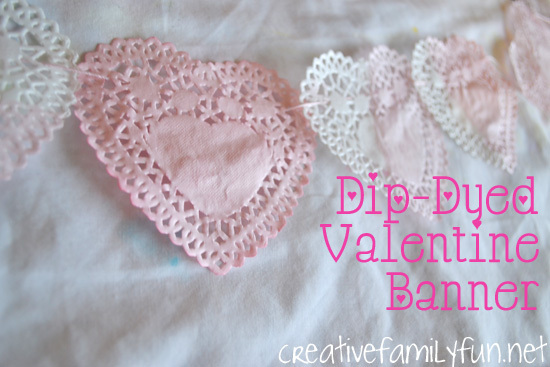 I showed the girls how to clip a heart with a clothespin and how to dip the hearts. They went through heart after heart after heart. Some of our hearts were completely dipped, others were half dipped. None of them looked the same. 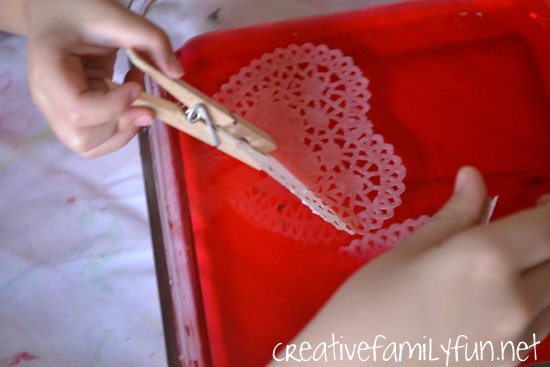 The paper hearts soak up the watercolor really well, so don’t leave them in the water too long or they’ll start to fall apart! We laid all of our hearts on newspaper to dry. After a couple of hours they were fully dry and we were ready to make our banners. We took string and ran it in one side of our hearts and out the other side. I tied on the two end hearts so that our hearts wouldn’t fall off once we hung up the banner. I love the pale pink color we achieved and we had tons of fun dip-dying. Our house is looking much more ready for Valentine’s Day! 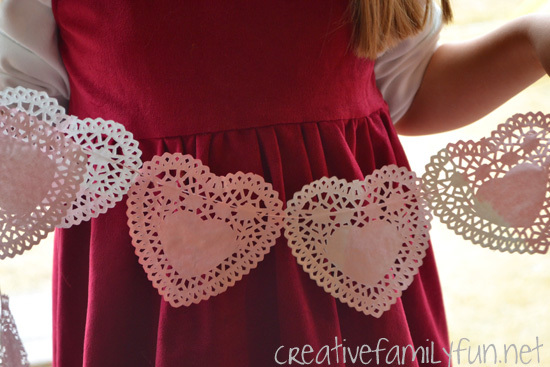 How have you used these lacy paper hearts?